Dr. Elizabeth A. Vandewater received her Ph.D. in Psychology from the University of Michigan in 1994. She completed a post-doctoral fellowship in Life Course Development at the University of Michigan's Institute for Social Research, where she pursued training in Psychology, Demography, Epidemiology, and Survey Research Methods. Dr. Vandewater is a former Associate Director of the Population Research Center (PRC) at UT, Director of CRITC (Center for Research on Interactive Technology, Television and Children), and a founding PI of the Children's Digital Media Center, an NSF funded research collaborative focusing on the impact of new technologies on children. Since joining the faculty in Human Development and Family Sciences at the University of Texas at Austin in 1998, Dr. Vandewater's research has focused on the impact of media and technology on children's development, health behaviors and health outcomes. Her current research focuses on two issues central to children's well-being: 1) the connections between media use and pediatric obesity, and 2) the effect of media on academic performance and social development. Her research in this area has been funded by the National Institute of Child Health and Human Development (NICHD), the National Science Foundation (NSF), the Kaiser Family Foundation, the William T. Grant Foundation and the Fisher-Price Corporation. Dr. Vandewater is a nationally recognized expert on the impact of media on children. She has given invited addresses at Children's Hospital in Seattle, Children's Hospital Boston, Harvard University, The University of Michigan, The National Cancer Institute, The National Institute of Child Health and Human Development, The National Institute of Diabetes, Digestive and Kidney Disorders, The Johnson & Johnson Pediatric Institute, the National Academy of Sciences Board on Children, Youth and Families, and the Institute of Medicine. Her research has been featured on BBC America/Discovery, MSNBC, Local CBS, NBC and ABC affiliate stations, the New York Times, The Washington Post, the LA Times, USA Today, Parents Magazine, and many more regional newspapers around the country. 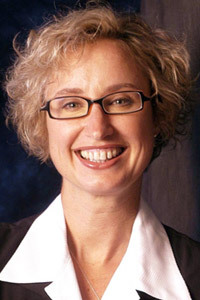 Dr. Vandewater currently serves on the board of PBS Kids, on the advisory board of the Panel Study of Income Dynamics Child Development Supplement, on the editorial board of Journal of Children and the Media, and is a member of the Texas State Department of Health Obesity Study Group. Cummings, H. M., & Vandewater, E. A. (forthcoming). Game time: How does adolescent video game play relate to time spent in other activities? Archives of Pediatric and Adolescent Medicine. Vandewater, E. A., Rideout, V., Wartella, E. A., Huang, X., Lee, J. H., & Shim, M. (forthcoming). Digital childhood: Electronic media use among infants, toddlers and preschoolers. Pediatrics. Vandewater, E. A., & Lee, S. J. (forthcoming). Measuring children's media use in the digital age: Issues and challenges. American Behavioral Scientist. Vandewater, E. A. & Huang, X. (2006). Parental weight status as a moderator of the relationship between television viewing and childhood overweight. Archives of Pediatric and Adolescent Medicine, 160, 425-431. Vandewater, E. A., Bickham, D. S., & Lee, J. H. (2006). Time well spent? Relating television use to children's free time activities. Pediatrics, 117, e181-e190. Vandewater E. A., Bickham, D. S., Lee, J. H., Cummings, H. M., Wartella, E. A. & Rideout, V. J. (2005). When the television is always on: Heavy television exposure and young children's development. American Behavioral Scientist, 48, 562-577. Vandewater, E. A., Lee, J. H., & Shim, M. (2005). Family conflict and violent electronic media use among school-aged children. Media Psychology, 7, 73-86. Vandewater, E. A., Park, S. E., Huang, X., & Wartella, E. A. (2005). "No--you can't watch that": Parental rules and young children's television use. American Behavioral Scientist, 48, 608-623. Vandewater, E. A., & Bickham, D. S. (2004). The impact of educational television on young children's reading in the context of family stress. Journal of Applied Developmental Psychology, 25, 717-728. Vandewater, E. A., Shim, M. & Caplovitz, A. G. (2004). Linking obesity and activity level with children's television and video game use. Journal of Adolescence, 27, 71-85.